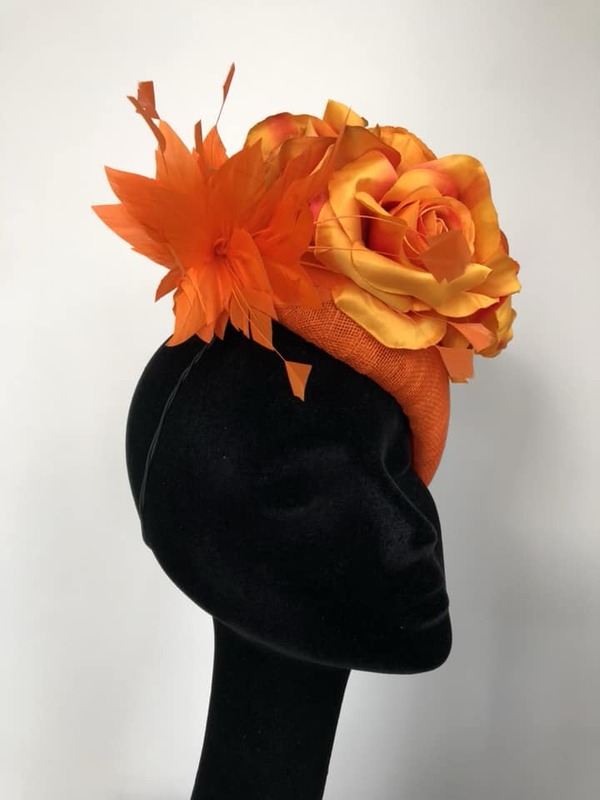 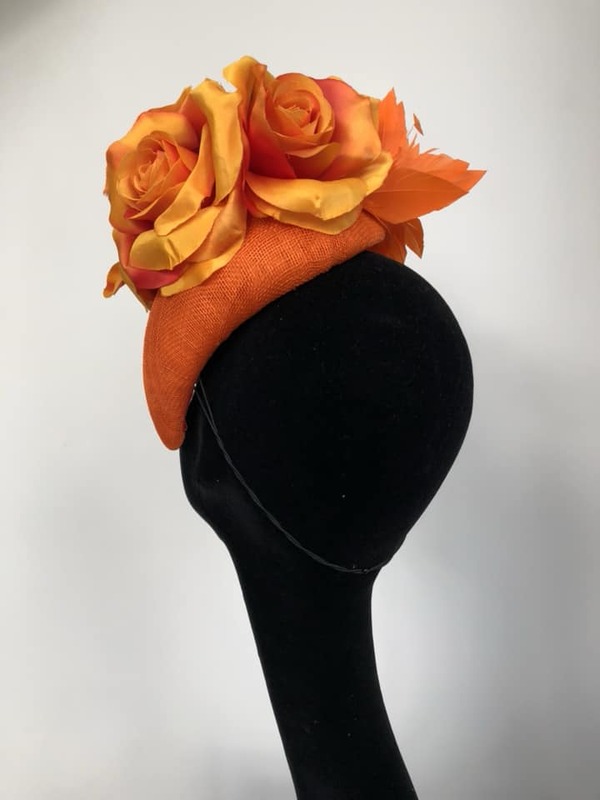 A gorgeous face framing beret base, hand blocked in a fabulous orange sinamay, decorated with a bouquet of beautiful high quality orange roses and simply finished with a single curved bouquet of orange feathers. 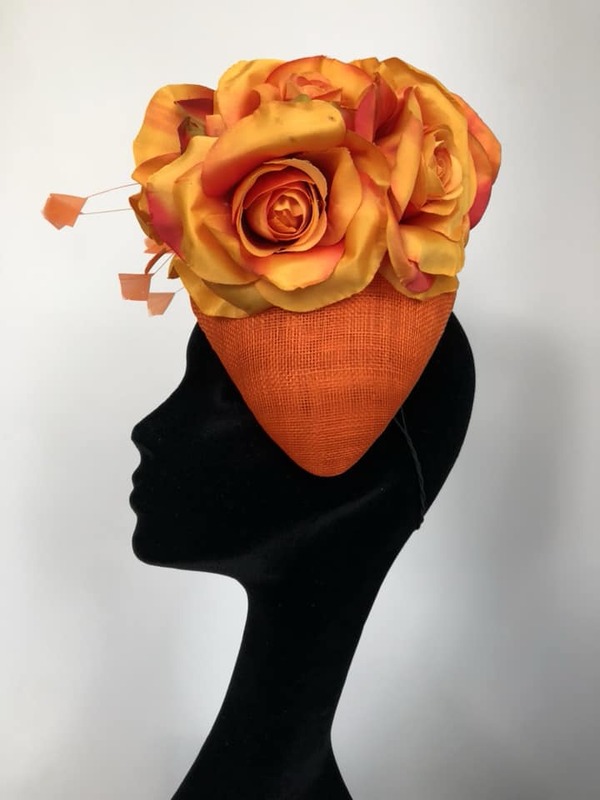 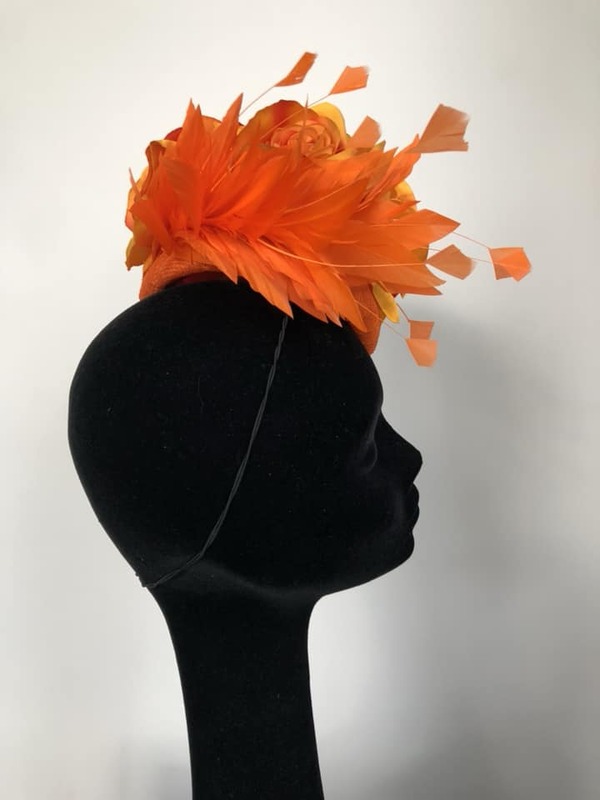 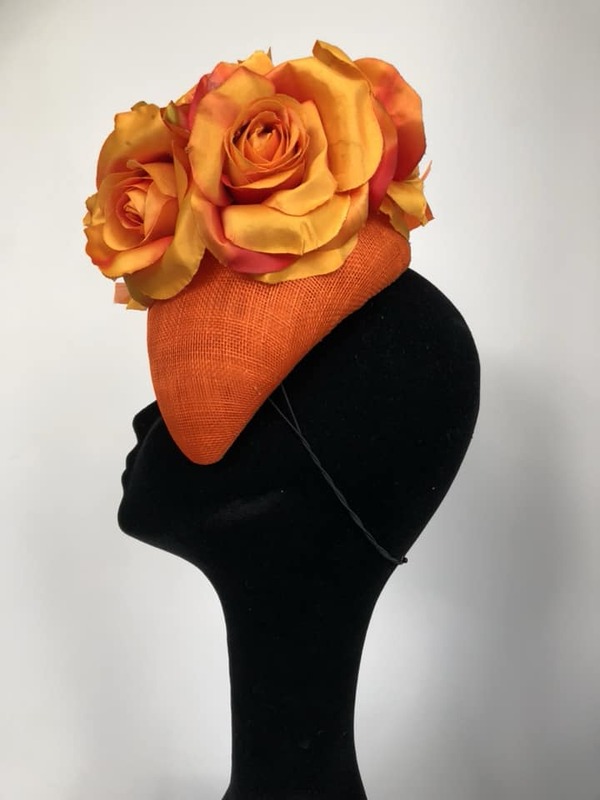 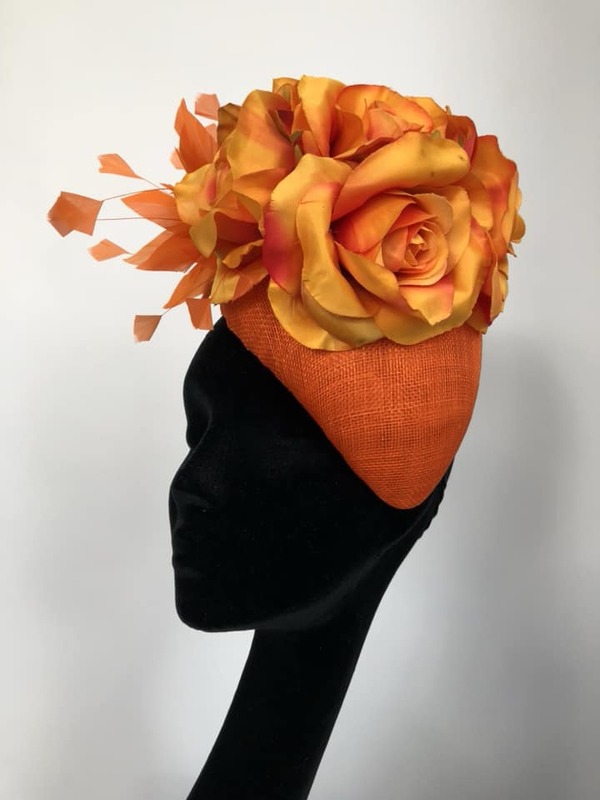 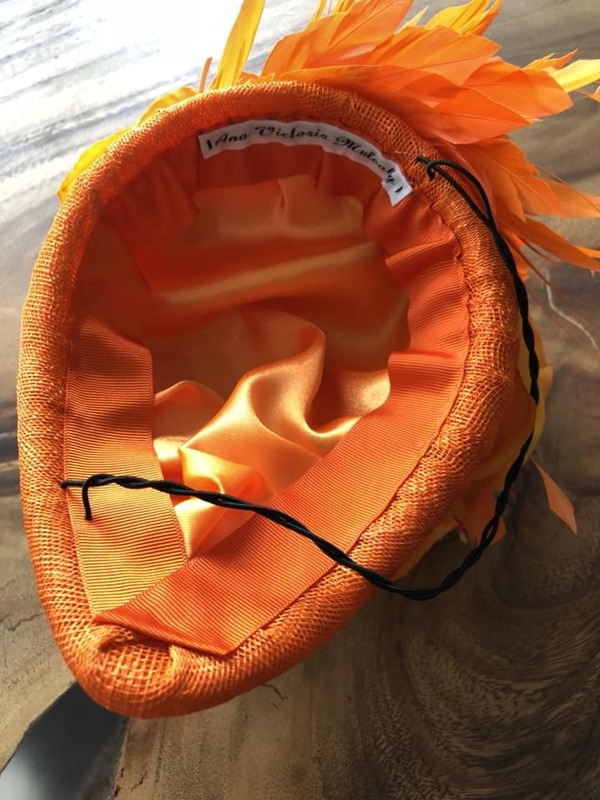 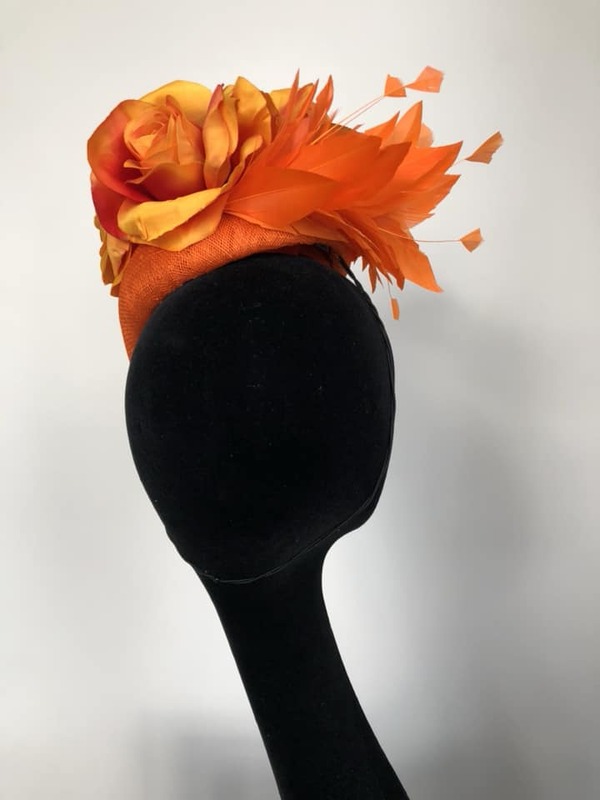 This outstanding eye catching headpiece is lined with a lavish orange satin, completely hand sewn and is worn on millinery elastic available in black, brunette, blonde or grey to match your hair colour. 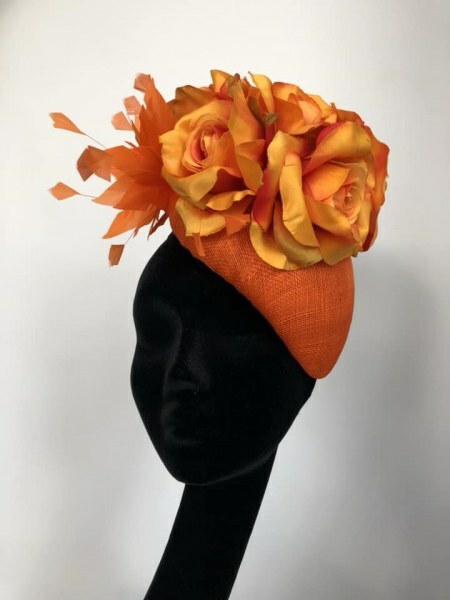 This headpiece can be ordered in different colours.